Recovering data from Android device is as easy as 1-2-3, no matter the data is deleted, lost due to system crash, rooting error, SD card issue, etc. Not only the data on Android internal memory, but also data from SD card on Android devices. 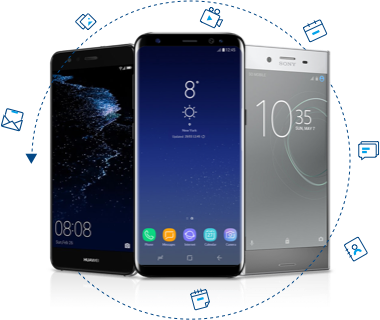 Supports to recover data from broken Samsung phones, no matter the screen is broekn, screen black, or unknown system issues. Fully compatible with 6000+ devices from different Android smartphone brands. Both rooted and non-rooted devices supported.